Grades 1 - 2. 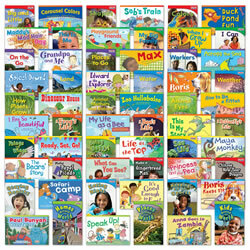 The engaging fiction and authentic nonfiction text in these books will motivate even the most reluctant reader! Each title features appealing themes that connect to real-world concepts. Books have 24-28 pages each. Set of 60 books. Grades K - 1. 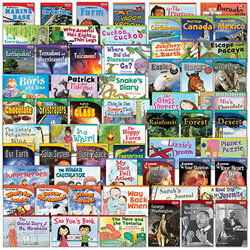 Spark the interest of beginning readers with engaging fiction and authentic nonfiction content! 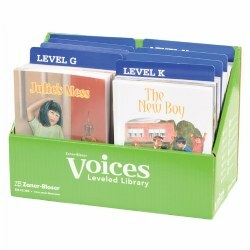 These high-quality books feature an appropriate reading level and familiar standards-based themes. Books have 12 - 20 pages each. Set of 60 books. Grades 2 - 3. 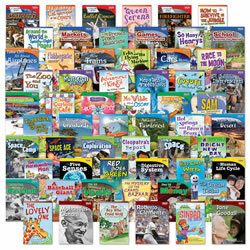 Inspire readers with real-world themes captured in engaging fiction and authentic nonfiction! The high-interest books in this series feature vivid imagery and exciting content that will appeal to fluent readers. Books have 28-32 pages each. Set of 60 books.